Blog Embraer, NAC, Stanbic IBTC Partnership For West Africa's Development? The age-long challenges that have fuelled the under-development of airlines and the aviation industry in Nigeria and West Africa, on the one hand, and the remarkable air traffic and economic growth projected for Africa over the next two decades, on the other, are critical factors that would determine the sustainability and profitability of local airlines, as many of these carriers look with mixed feelings to the next phase of their development over the coming decade under a difficult operating environment. 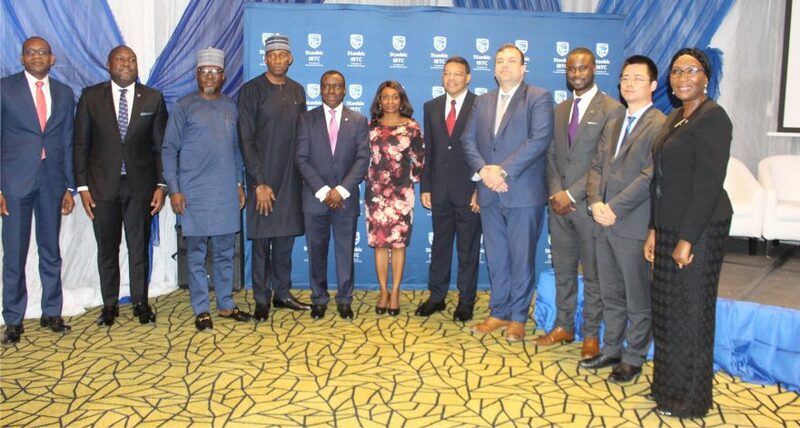 These same factors have brought Embraer, Nordic Aviation Capital (NAC), and Nigeria’s Stanbic IBTC Bank together as they seek to help overcome some of the challenges related to poor access to efficient aircraft and funding, and also establish a strong foothold for their own businesses in aviation industry in the region. 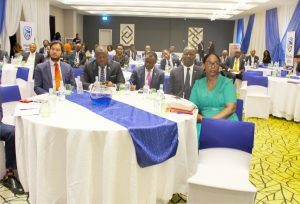 Embraer, Stanbic IBTC, NAC and ICBC announced in Lagos, Nigeria, recently their combined efforts to revive the airline industry in the region. This collaboration aims to improve the fleet and financial muscle of Nigerian and West African airlines mainly, as well as set up airline support facilities in the region overtime. Given the current shortcomings in the region’s aviation industry, realizing this aim will no doubt enhance interconnectivity in Nigeria and West Africa ultimately. Embraer has shifted greater attention to Africa, and particularly Nigeria, in good time to support and benefit from the expected doubling of air traffic on the continent. Mr. Gad Wavomba, Sales Director Middle East and Africa for Embraer, says Embraer is excited about Africa because the aircraft manufacturer has many aircraft in good condition in the USA whose leases would expire soon; so Africa is a good home for them. In Nigeria five Embraer 145 aircraft are already operated with Air Peace and three with Bristow Helicopters; while in Ghana five Embraer 145 are operated by Africa World Airlines. Air Burkina operates the Embraer 170 to be upgraded to the larger E190. Embraer is in partnership with South African Airlink to provide training and support up to the West Africa region. Embraer will be commissioning simulators in the South African facility for four different aircraft types in October 2018. The Single African Air Transport Market (SAATM) launched by the African Union (AU) which creates liberalization in Africa is a strong attraction to aircraft manufacturers and leasing companies. Mr. Wavomba says “we want to make our operators ready for SAATM,” emphasizing that right size of aircraft operating Africa’s routes is right for SAATM. He, however, calls on banks to understand that Embraer’s efficient aircraft are assets that will make profit, noting that Embraer will need cooperation to penetrate the Nigerian market. He explains that IBTC cannot give out loans with high interest rates, “but we can help to structure it” so that airlines can borrow at very low interest rates of about 7-10%. “We want to solve a problem by bringing stakeholders together; we believe in the industry,” he says. He also hints on IBTC’s willingness to support airlines from other jurisdictions. IBTC’s partnership with ICBC, a China-based finance and leasing company, according to Liam Sun, Deputy Head of Strategic Cooperation at ICBC, will bring benefits in aviation industry and other fields. Capt. Noggie Megisson, President of Airline Operators of Nigeria (AON), says AON’s 26 member airlines are willing to use the E-Jets to power their businesses, noting however that the cost of the aircraft and lack of an aviation bank in Nigeria to support such acquisitions remain a challenge. He calls on Embraer to work with Standard IBTC Bank to make it possible for Nigerian airlines to acquire Embraer’s efficient aircraft to improve their operations, as he calls on IBTC to strive to become the much-needed aviation bank in Nigeria. Mr. Sasha Yusufalli, Vice President Marketing of Nordic Aviation Capital, says NAC has very strong partnerships with ATR, Embraer and Bombardier providing aircraft round the clock. Like most visitors to the country, he enthuses that Nigeria is very vibrant, as he looks forward to putting ideas to reality in Nigeria; while beckons on Nigerian airlines to take action. Industry observers now look to the difference between Embraer realigned focus on Nigeria and Africa and previous moves by other aircraft manufacturers. The question that remains to be answered is what stakeholders like government can do to rid the operating environment of excessive taxes, charges and fees that loom in the flight path of big and small airlines. Airlines in Nigeria and the West Africa are not only challenged by lack of easy access to efficient aircraft but also the harsh operating environment that prevents even brand new aircraft from operating profitably in most cases, among other challenges. The responsibility of improving airline business and connectivity in Nigeria, West Africa or Africa in general rests on airlines, industry partners like manufacturers and funding institutions, and then, the government. Where there is a will, there is always a way.